While I’m on my quest to a tasty cup of brown sugar pearl latte, I’ve also noticed the increasing number of bubble tea franchises popping up in Vancouver. 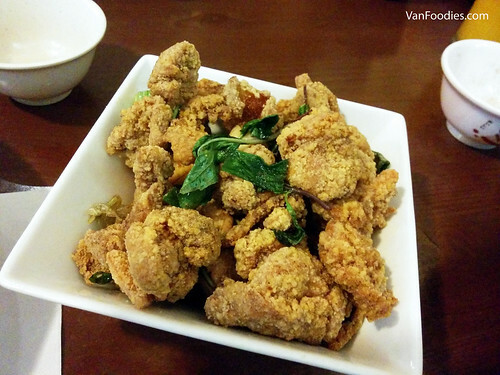 One of the latest addition is Onezo Tapioca in Burnaby, with its location only steps away from Metrotown. Of course, I had to order its Dirty Tea Series to try its brown sugar pearls. For an apple-to-apple comparison, I chose the Brown Sugar Dirty Milk 脏脏茶. As usual, the brown sugar pearls are of limited availability. We caught it just in time, showing up at 3:45pm for the 3:30pm batch on a Saturday. Luckily, there was barely a line up, only a few people in front of us. The pearls were nice and warm when the drink first got into my hands. They had good, soft yet chewy texture. The flavour reminded me of creme caramel — the warm toffee, caramel flavour. Almost buttery. Have you heard of the trendy Brown Sugar Pearl Latte? Almost all, if not all, bubble tea shops are making those. I have jumped on this BBT bandwagon and the most recent stop was visiting the Exposure Social House in Richmond. It took over the Shake Shake Tea space at Empire Centre. Their Devil’s Fresh Milk (aka the Brown Sugar Pearl Latte) uses Avalon Organic Milk. The choice of milk made it taste quite rich, along with the caramel flavour in the brown sugar pearls. The pearls were warm, soft yet remain in good texture. Their sign said the Devil’s Fresh Milk is available at 1:30, 3:30, 5:30 and 8:30pm but we were there at 2:30pm on a Saturday and they still had it available. I’ve always liked a good roasted milk tea at BBT places. 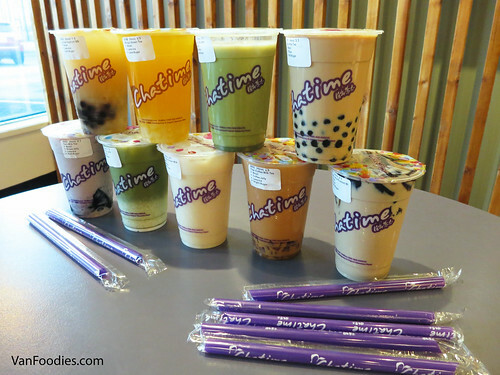 Chatime Surrey – Customize Your Drinks! A 5th location of Chatime, a bubble tea franchise originated from Taiwan, has just opened in Surrey. 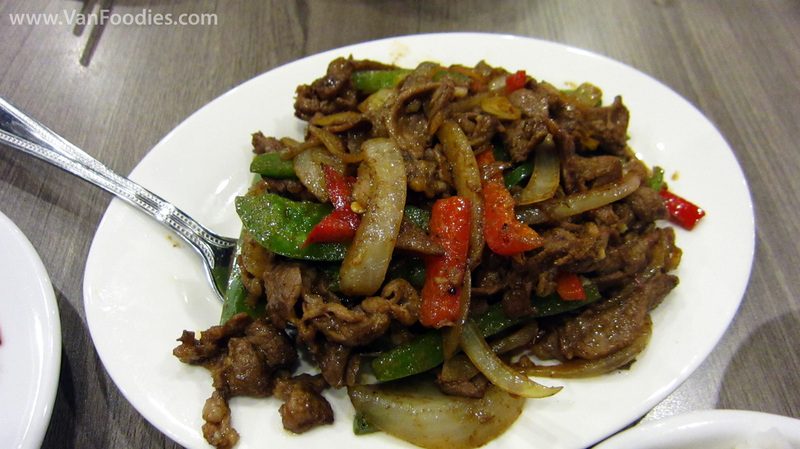 Thanks to our friends at ChineseBites, I checked out the location before its grand opening day. Mango Green Tea (80% ice, 80% sugar, with Coconut Jelly) – This is often my go-to bubble tea because I’m a big mango fan. I only ordered it with 80% sugar, so it wasn’t overly sweet like most other ones I’ve had in the past. I could taste both the mango flavouring as well as the green tea. Nothing too special because it’s just a mango green tea, but definitely one of the better versions I’ve had in town. It may already be September but we are not quite finished with the hot weather yet. On those occasional warm days, you would be craving icy treats. Actually for Mr., he would just crave icy treats on a random day, even if it’s cold outside! So, it’s only fitting that we accepted an invitation from ChineseBites to check out Icy Bar near Boundary and Kingsway. They also have another location at Knight and Kingsway. Mango Ice Cream Mochi Icy – This is like mango heaven! 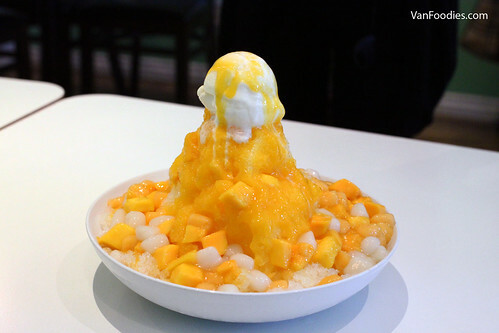 Fresh mango with mango sauce drizzle on top of vanilla ice cream and shaved ice. I like the addition of mochi balls for some chewy texture, otherwise it would be all liquidy, especially when the ice cream and shaved ice starts to melt. Chocolate Honey Toast – This is like a new take on thick toast. The thick toast is cut into cubes, nicely stacked into a pile, topped with a scoop of vanilla ice cream and chocolate sauce drizzle. The thick toast is slightly sweetened; the flavour almost reminds you of condensed milk. It’s crispy, crunchy on the outside, and it’s still soft and chewy inside. 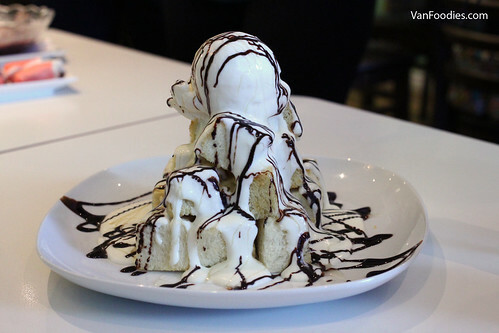 The thick toast cubes are served warm, so you have to eat quickly otherwise the warm toast would melt the ice cream! There was once a restaurant called Chill. It was on a quiet section of Kingsway. With its dark awning and dim lighting, no one ever knew its existence. And before you knew, it closed down. Not too long after, a new awning came to take its place. Its name was 508 Bistro. With a little more flare and a little more colour, the restaurant was revived. Just the fact that they had an awning that was visible in the dark, and a brightly lit interior that made me realize it was open, was enough to convince me to give them a try. Chill wasn’t terrible, but I had only found out its existence because my friend worked there. It’s a wonder how anyone found that place at night. 508 didn’t even bother changing the interior (not that it needs to be changed), they just turned on the lights, and the people came. Hungry from the start, we came here for a quick dinner. We ordered an appetizer, two rice, and two dishes. There were a few creative menu items mixed into the usual affair. For example, the Kong Pow Century Egg. For those of you that aren’t in-the-know, Century Egg is this disgusting looking black preserved egg. And as with many things that look awful, it’s delicious beyond belief. And the only thing that stops me from having it for breakfast is the ridiculous amount of cholesterol in it. 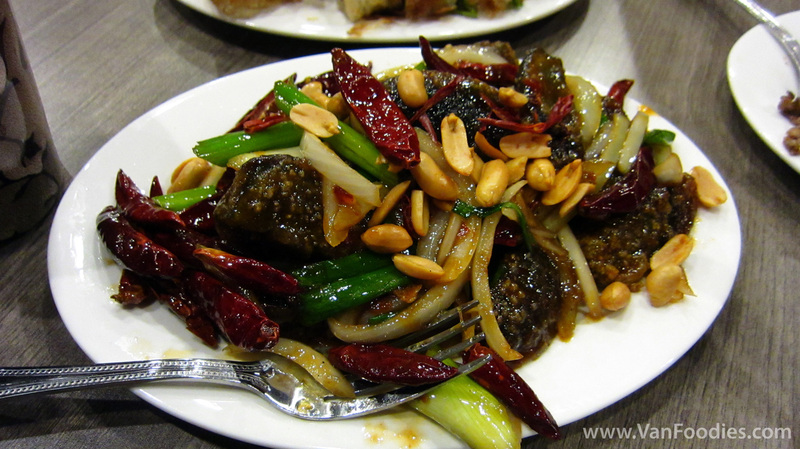 You wouldn’t think so, but the sweet and tangy sauce in this dish went well with the Century Egg. If you are open to mixing strange flavours, give this a try.